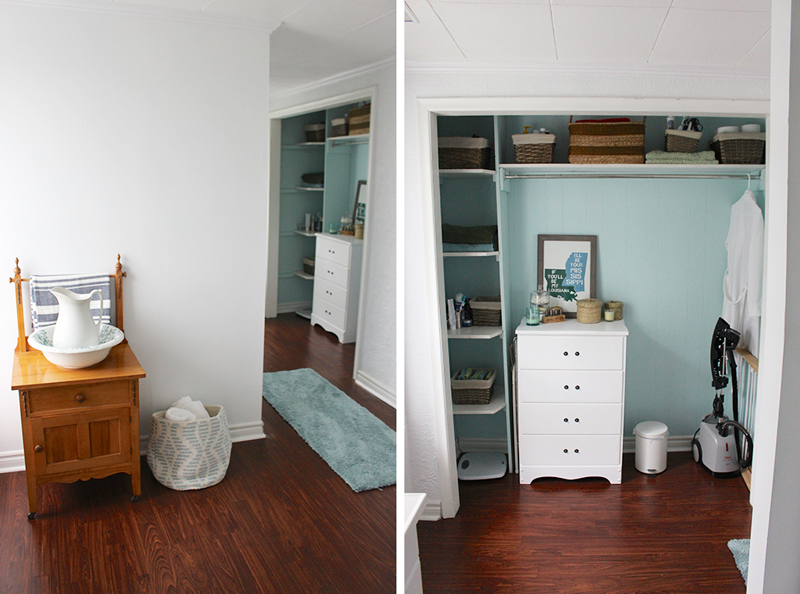 It’s that time of year – the One Room Challenge spring edition! 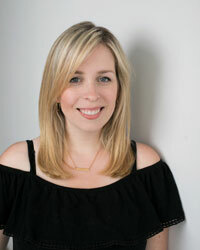 For the last fourteen years, bloggers from all over have participated in the bi-annual event by picking one room in their house to finish over the course of six weeks. 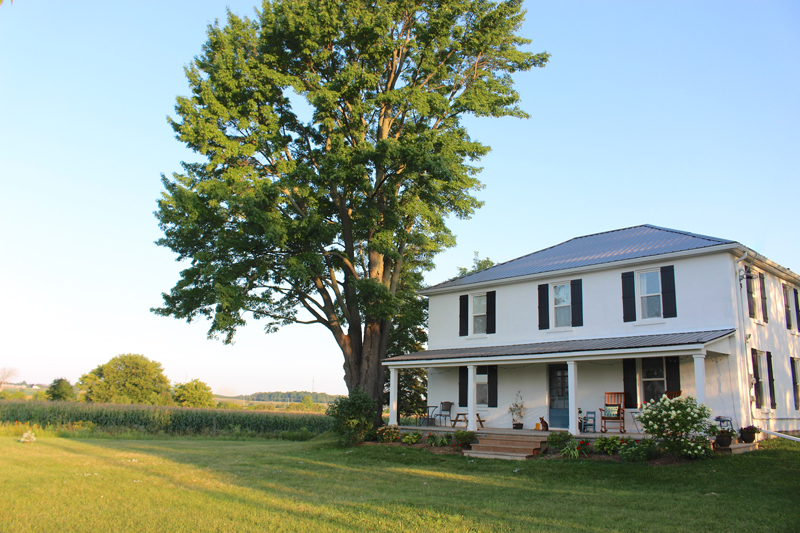 For those of you who are new here, I’m Amanda and my family lives in a 1903 farmhouse we lovingly call Cloverhill in rural Ontario. We moved here in the spring of 2015 and have slowly been renovating and restoring this 116-year-old treasure. This is my third year participating in the One Room Challenge and I’m so excited to be doing it again! The first year (spring 2017), it was our Master Bedroom that got a makeover. I am still SO GLAD that we took the time to make this space a quiet retreat for just the two of us. 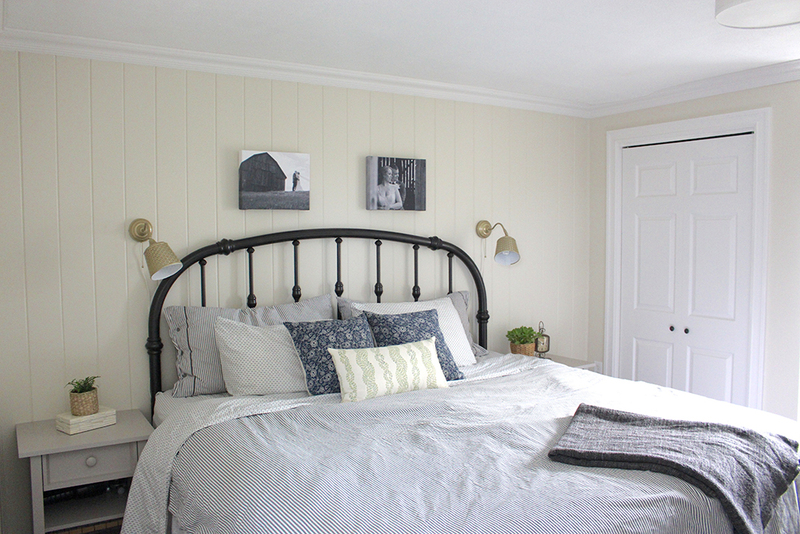 Fresh paint, new moldings, a plank feature wall and DIY Wrought Iron Headboard really elevated the space. Then last year (spring 2018), we transformed our Front Entryway from dingy to classic. We discovered original hardwood floors under the cigarette-burnt sheet vinyl, but unfortunately it wasn’t really salvageable (cue the violins). 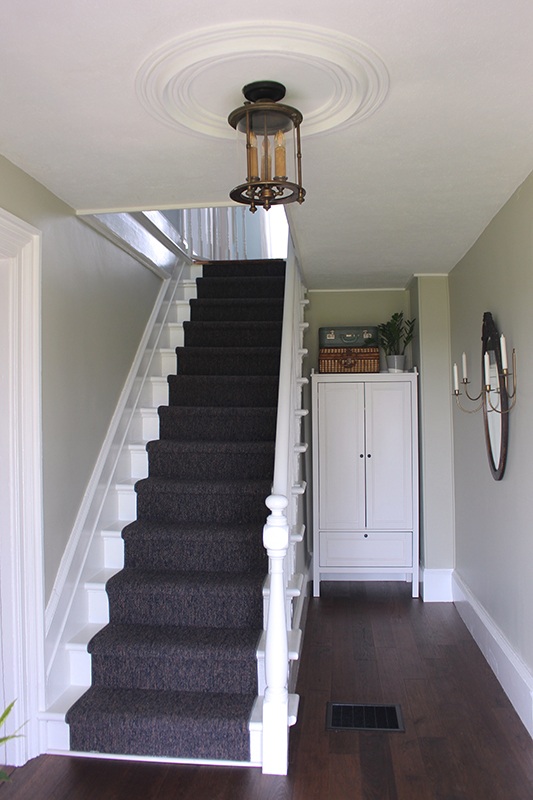 Thankfully some made-to-look-old engineered hardwood saved the day, along with fresh paint, fancy molding work from our master handyman (hi dad!) and a few finishing touches like the vintage mirror I’d had in storage for ages. It’s the kind of piece that deserves to see the light of day! All winter I was so sure I wasn’t going to do the One Room Challenge again this spring. I mean, we’ve got a busy house with two little girls who are almost three years old and six months, as well as it being just a few weeks until flower season starts up again for Cloverhill Flowers (heading into our fourth year!!). However, I knew joining up again was exactly the motivation I needed. I want to not only freshen up this space but also make it more functional for our family’s changing needs. Someday we plan to completely gut this bathroom and do a large renovation, however we know it will also involve tearing down the living room ceiling below and adding more supports to the floor. Realistically it’s not something we’ll be tackling in the next few years and most of the time we’re the only ones that see this bathroom (we’ve renovated the powder room on the first floor for guests), so I’m happy to make a smaller update now to get us through until we’re ready to take on a bigger renovation. So without further ado, let me show you what it looked like back in 2015 when we moved in, along with the few small changes we’ve made since then. When we moved into the farmhouse, thankfully the previous owners had painted pretty much everywhere with great neutral paint colours, so we basically just filled the shelves with our towels and supplies, tossed a few bath mats down and called it a day. Can you believe we lived without a vanity mirror in this room for over two years?!? 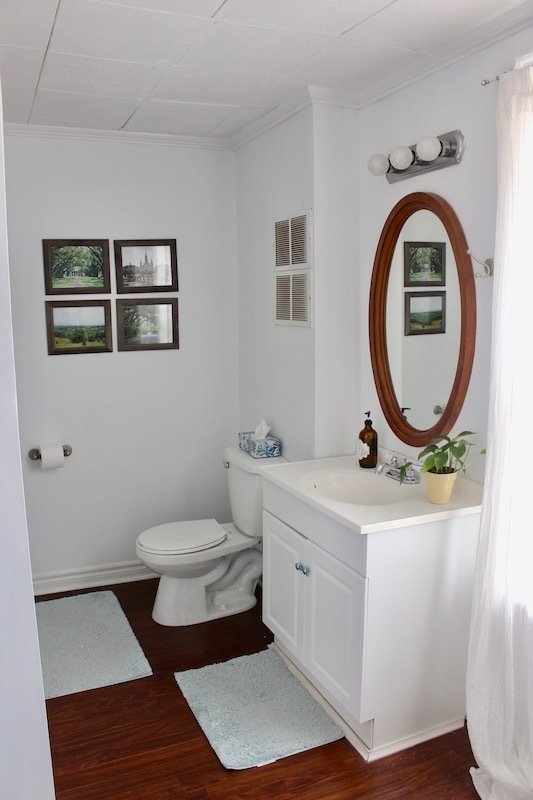 We just used a little stand mirror in there and it’s wasn’t until I had gotten two mirror options during our powder room renovation that we ended up hanging one up here. 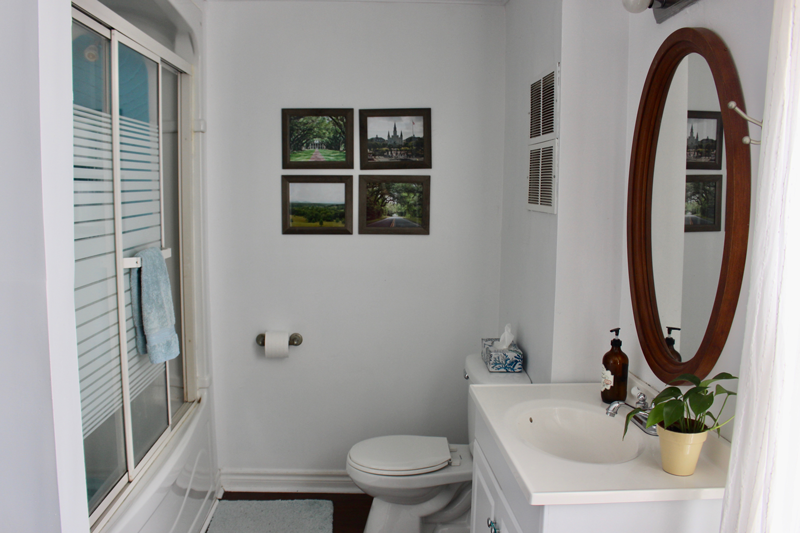 We also put up some framed pictures from our honeymoon road trip, swapped out the toilet and replaced the faucet. 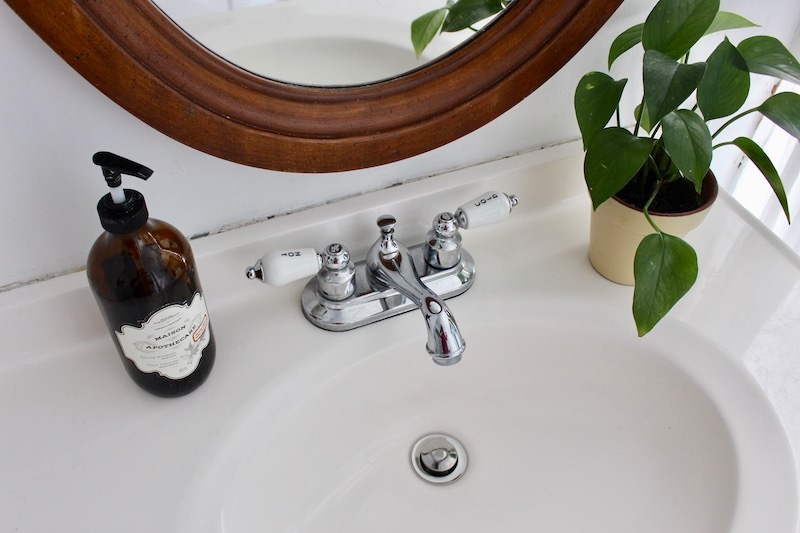 I loved this vintage inspired faucet when we found it at Home Depot and then I was over at my parents’ house one day and realized why it seemed so familiar – they had the same one in brass in their basement bathroom, ha! 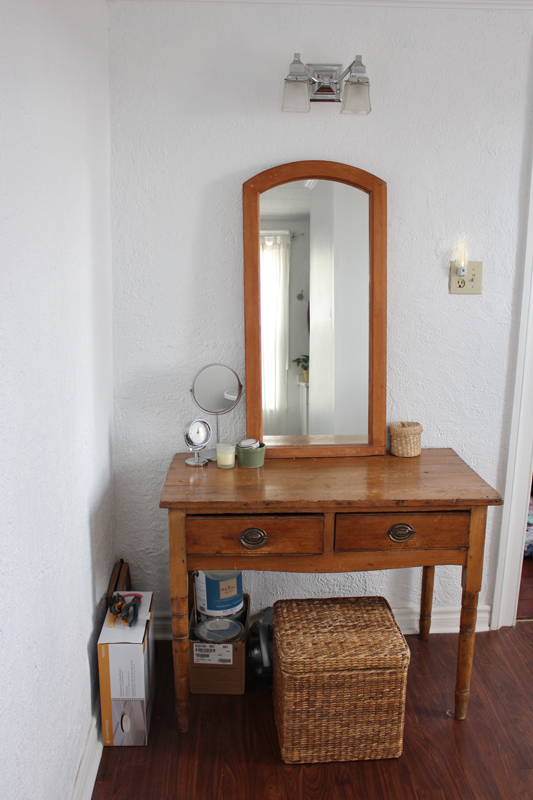 On the other side of the room by the door, we have a makeup vanity area that I created using an antique table we found on our road trip to Vermont a couple summers ago, with a mirror from our old apartment front hall. 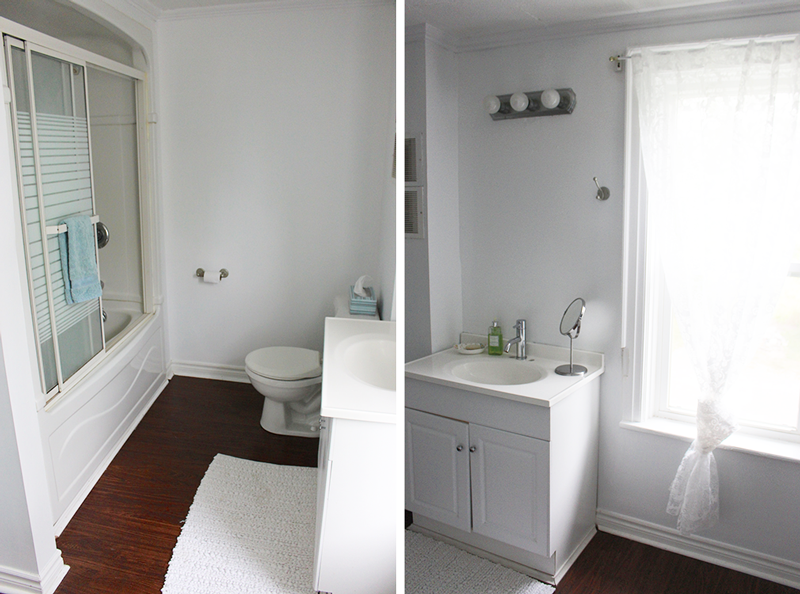 This area has also become a catch all for things we might need for this makeover – I’m debating painting the closet the same colour as the downstairs hallway and that light is one we’re considering to replace the ceiling light in this bathroom. Speaking of the closet, not much has changed in four years, except we added some hooks for towels, a few more baskets and of course lots of kids’ stuff. 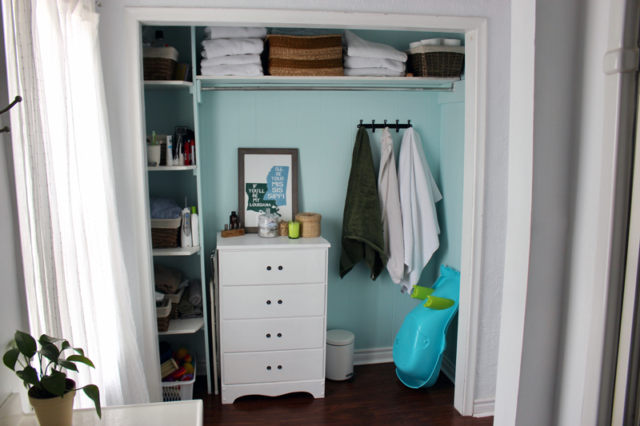 From bath toys and toiletries to the baby bath and kids’ towels – our storage needs have definitely increased. I’m still debating the best way for us to make the most of this space. I also really want to find a way to be able to hide this closet area when we have company over. I’ve measured bifold doors but they’ll come out 16″ into the pathway on the right side and partially block the window on the left. I could also sew curtains that can be pulled back when we want the area open. There is over an inch difference in the height of the door frame from the left to the right (old house problems!) so sliding doors are out of the question. Anyone else have another idea? Based on what we’re keeping in the room and the look I’m hoping to achieve, here is a little mood board of what I’m going for. Fresh and bright, with wood tones and more texture from either wallpaper or tile. Feature Wall with either Peel-and-Stick Faux Tile OR Removable Wallpaper? Lighting Options 1, 2 or 3? What to do about the closet – bifold doors that block the pathway or curtains that pull back? Another option? Perhaps once you decide what you want to do with storage in the lg closet it will be easier to decide what you want to do to cover it? Good luck! Loving all your options! it’s gonna look amazing! I love the wallpaper choices! Can’t wait to see what you choose! Oooh I love all your ideas! And your house looks beautiful! Good luck with the makeover – we look forward to following along! 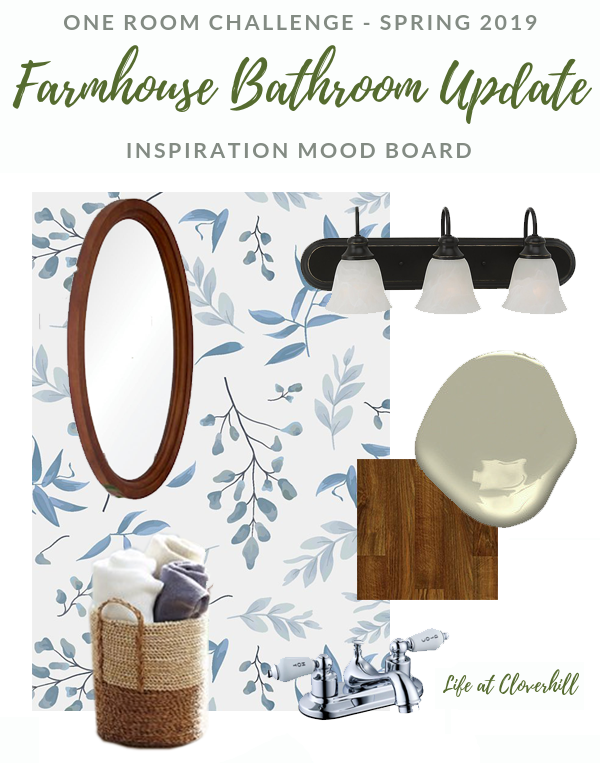 Your inspiration board is so pretty! I think the wallpaper would add a nice pop of color to the neutral room! Good luck! I love what you’ve chosen so far! 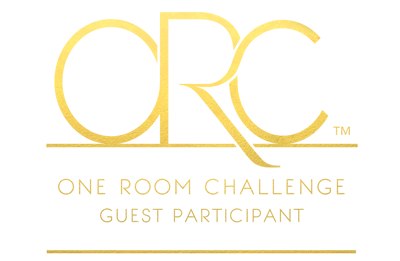 That wallpaper is gorgeous. Looking forward to following along. You’ve got this! Your home is so pretty! This space is going to look really beautiful. That’s a tough one about the closet door situation. I think you’re right to do curtains. Wow I can’t believe you lived without a mirror that long lol! And I like the idea of a floral paper in there- best of luck with the challenge! I love your plans for your bathroom! I love the idea of peel & stick wallpaper for an accent wall. Can’t wait to see how it turns out! 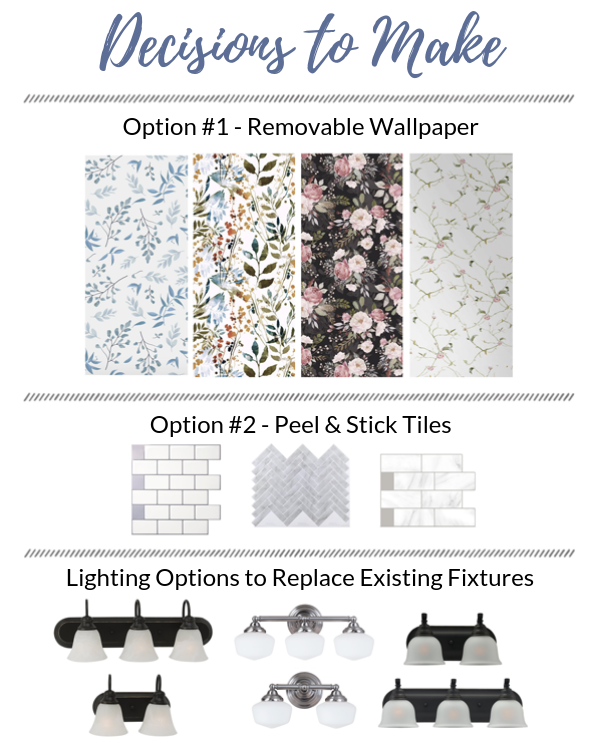 I love love love that dark floral wallpaper BUT I’m not sure if a removable wallpaper would work in the bathroom with a shower (you’d have to double-check the installation details). You could totally wallpaper the inside of the closet though 🙂 Excited to see what you pick!